The specialist engineering project is an oppertunity to consolidate the wide range of learning from the topics covered in the course. Bringing togeather elements of business practise, feasibility studies, project planning, drawing, design, PDS, Evaluation. Use the resources below to help you write a feasability study and conduct risk management activities based on your chosen project and possible range of solutions. Below is a guide to how to write a feasibility study, review the headings and content related to each heading and use this to guide your own work. When developing a project proposal it is essential that during the compiling of a feasibility study that a risk management process is carried out ahead of any continuation to the project outcome. This is so that the business / project manager can be assured and/or can assure the client that any possible risks that may delay or stop project progress have been thought through and planned against. Below is an example of a risk management proforma that you can choose to adopt in completion of your feasibility process / study. Produce design documentation to detail the solution, including a test plan and sustainability. Produce the technical specification for a solution to an engineering problem. Design a coherent solution (sketching and CAD), considering alternative approaches. Optimise the project-management processes and design solution while allowing for reasonable contingency and considering constraints. Implement project-management processes, including planning, monitoring and risk and issue management. 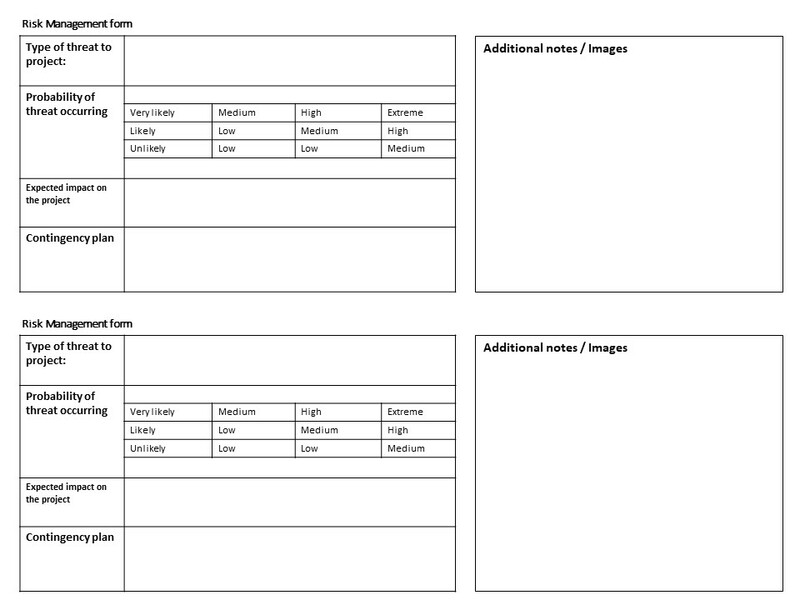 Below you will find a radar analysis template, use this to analyse existing products before designing your own solution. It can also be employed to assess your own range of design solutions. I would recomend getting a few friends / collegues to also use one of these or for you to gather thier opinions from 1-5 on your possible range of solutions and gather feedback that way. The written chart below is a good example of a written and justified analysis that considers and reviews the range of possible developed solutions the student / designer has initally started to develop. 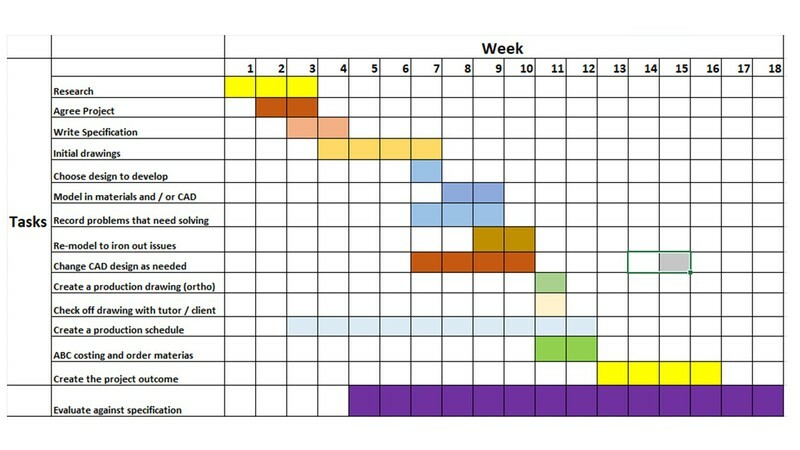 Below is an example production plan submitted for a U5 project assignment. This is a good example and you could use it as a guide to help you comple your own plan for manufacture. The headings / methods etc may need to be altered for your own specific needs of your project. Shown below is a completed project example that attained a Merit overall. Can you think of areas that the project could have been improved?